Ultrapure water prepared using a PURELAB water purification system is a key reagent in a simple new method for producing graphene, paving the way for scientists to unlock more of the tantalizing opportunities promised by one of the world's most exciting materials. In 2004, scientists discovered and isolated graphene - a single atomic layer of carbon arranged in a distinctive honeycomb lattice, a breakthrough that subsequently led them to a Nobel Prize. Due to its incredibly versatile properties, graphene has the potential to create huge-scale impact across a vast number of products, processes, and industries. It is many times stronger than steel yet incredibly lightweight and flexible, plus electrically and thermally conductive while also transparent. All this, and it's one million times smaller than the diameter of a single human hair! However, a major bottleneck standing in the way of unleashing graphene's full possibilities is a reliable and scalable production method. Monolayer graphene can be produced by epitaxial growth (where a thin layer is grown on the surface of a crystal) - or using chemical vapor deposition. However, both methods produce only tiny amounts, so far limiting usage to specific high-performance applications such as in the electronics or optoelectronics fields. 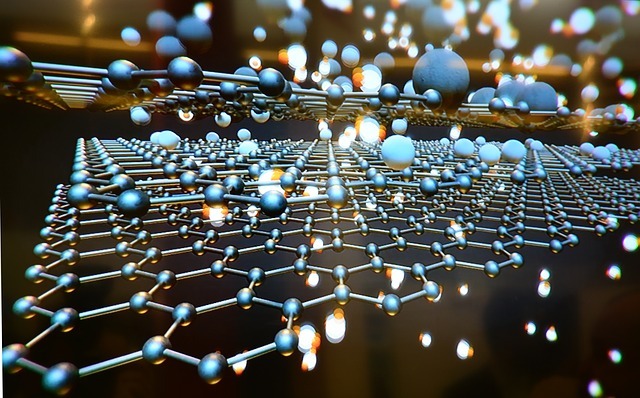 But graphene has many other potential applications that need much larger quantities - including the development of new nanocomposites, or in nanomedicine such as in drug delivery, biosensors or tissue engineering. Scientists in these fields have instead leaned towards using chemical derivatives of graphene, which are easier to produce in huge quantities. But although these are interesting materials, their properties are different to pure graphene. So there's a huge thirst for developing new, improved ways of producing graphene at large-scale and at low-cost. Scientists have experienced some success at generating few-layer graphene of reasonable quality using methods involving the mechanical exfoliation of graphite. However, there are big shortcomings - including low yields and difficulty in removing any dispersants used during exfoliation. Another constraint is that graphene itself is extremely hydrophobic, with almost all dispersions (usually required for its handling and processing) prepared in poisonous organic solvents. This creates issues with storage, transportation, and toxicity in biological applications. good yield of few-layer graphene as a powder, which is easily dispersed in aqueous media. During their four-step process, the researchers prepared ultrapure water immediately before use by purifying previously deionized water using an ELGA PURELAB UHQ system. Importantly, their method also includes steps to remove the dispersant, with biological assays of the product showing no toxic effects. This low-cost, simple new protocol marks a significant step forward for graphene development. The product is suitable for applications involving bulk quantities of aqueous material, such as polymer composites, inks or biomedicine development. ELGA has been a trusted name in pure and ultrapure water since 1937. We are market leaders in water purification technology development and using our state-of-the-art systems can help you to achieve consistent, accurate results. Protocols (2018), Vol 13, No 3, p495-506.